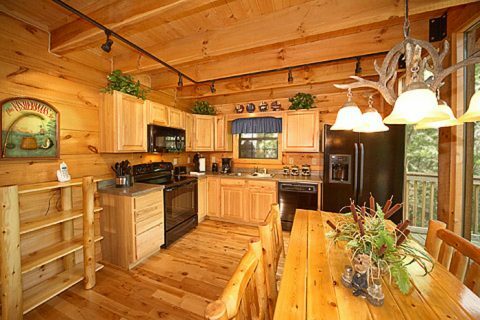 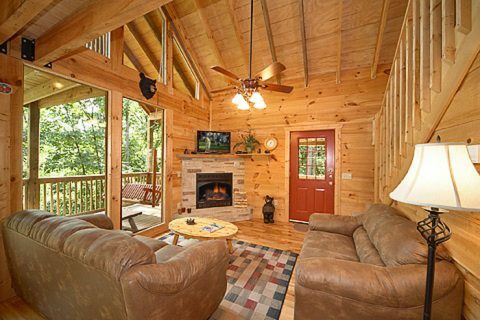 "Bear-rif-ic," a wonderful 2-bedroom cabin located between Gatlinburg and Pigeon Forge in Sky Harbor Resort, provides vacationers with all the comforts and amenities for a mountain retreat to remember! 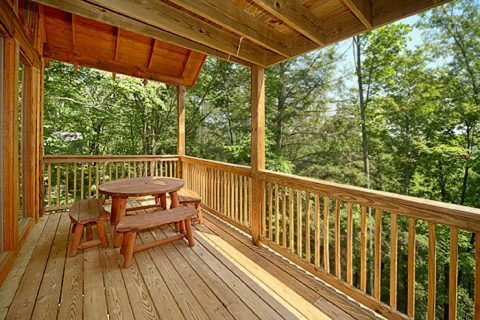 This Gatlinburg cabin rental with Internet access accommodates up to 10 guests and provides easy access to both city's attractions. 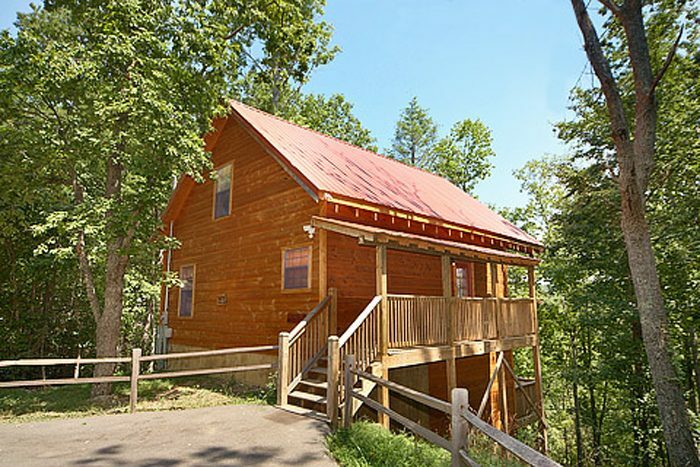 A very inviting, 4-Star rated, 2 bedroom cabin near Gatlinburg, "Bear-rif-ic" rests nestled in a forest setting offering the tranquil peace of nature with modern amenities. 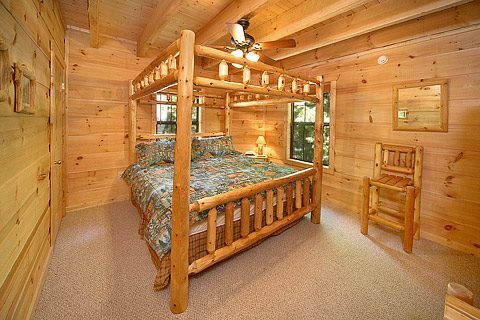 This cabin rental has the all the character one could imagine - inviting wood tones, lots of windows drawing in nature's surrounding beauty, and rustic log furnishings blended with the modern home amenities. 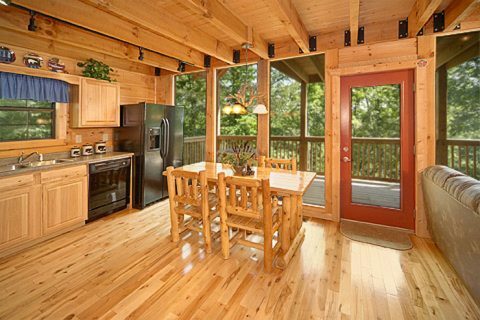 The main level of this Gatlinburg cabin rental with Internet access houses a handsome dine-in kitchen with log table and a living area with gas log fireplace. 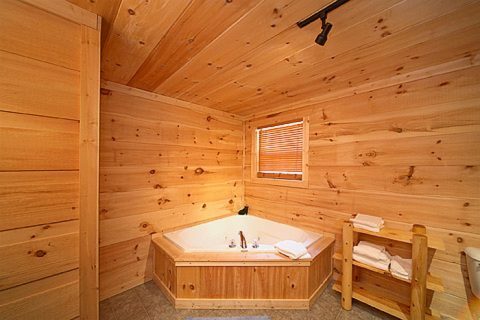 The opulent king bedroom with a television has its own full bath with a jacuzzi, creating a relaxing space. 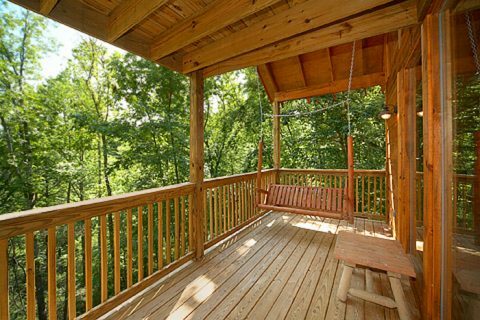 Outside on the porch, the porch swing and outdoor seating area offer perfect spots to enjoy the peace of nature. 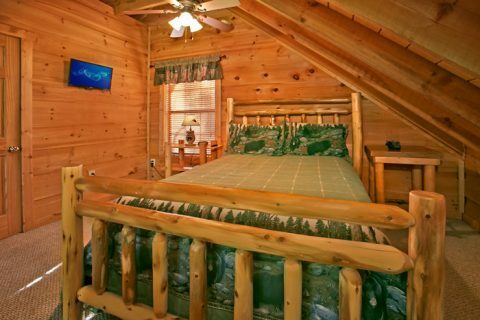 The downstairs bedroom of your cabin houses a queen bed, television, and private full bath. 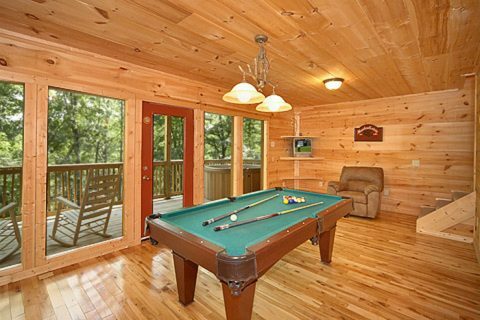 The game room located on this level features a full-size pool table, flat panel television, and a futon seating area. 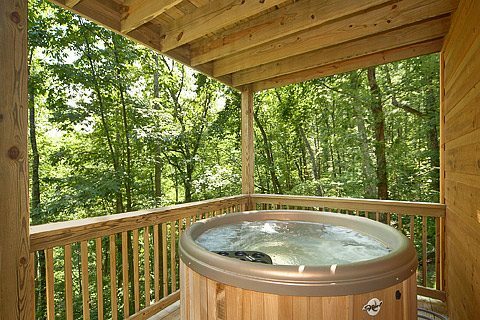 The game room leads out onto the bottom deck with rockers and a hot tub. 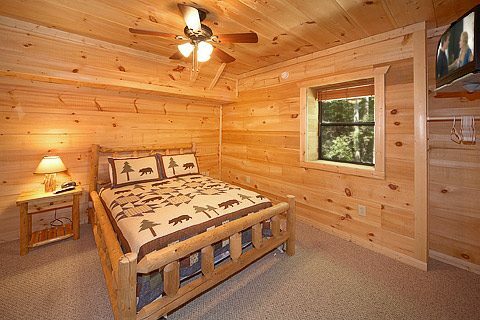 The upstairs loft bedroom houses a queen bed, television, full bath, twin bed, and a private balcony for sitting outside in the mountain air. This Gatlinburg cabin rental with Internet is perfect family or small group cabin for guests looking to explore all the Smokies have to offer! 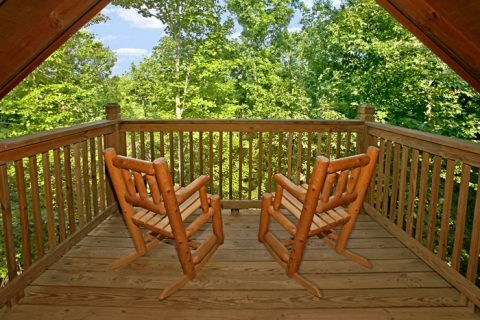 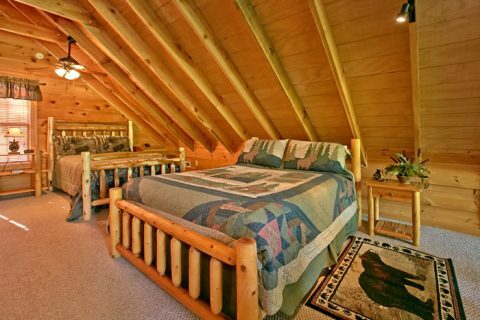 Book this wonderful 2-bedroom cabin near Gatlinburg online with Cabins USA Gatlinburg for immediate SAVINGS!